Inflatable advertising products and items are widely used today. More and more people use these products to promote and advertise their brands and services. Of course, the main users are enterprises and companies, which want to promote their products and acquire more customers. These inflatables are suitable for advertising because they are very visible and hence draw attention to people with their appearance. Moreover, they are easy to set up and use, and can be designed however you want. You also want to advertise something with inflatables? See the following 10 tricks, which can help you to use inflatable advertising items in the best way. Just apply them in practice and the success is guaranteed! First of all, you need to use properly designed advertising inflatables in terms of their shape, size and color. As far as the size of these structures, the best ones are the larger inflatables. You certainly guess why. 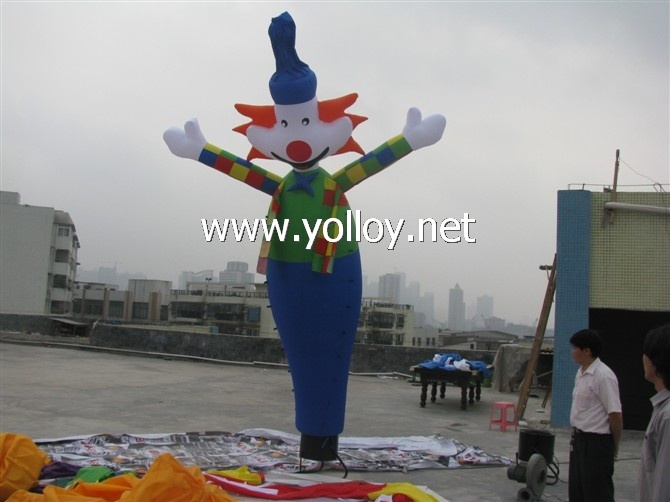 The big inflatables are more visible, and hence attract attention easily. Besides, the large items give you more space to print your company logo as well as other contents. As for the shape, it is recommended to use the advertising items in the same shape of your offered products. Therefore, it would be good to use inflatables that have the same form and exactly look like your products. Finally, choose the eye catching colors for marketing, such as red, yellow and orange, especially the fluorescent and bright color shades. Also, you can use multicolored and colorful items because they are easy to perceive and attract people as well. Just to mention that you can also order custom made advertising inflatables, according to your own needs. The second thing that you should consider is the printing. The promotional products are useless without a printed company name, brands, and other advertising contents. Inflatable items are suitable for printing because they are made form such fabrics (usually tarpaulin and PVC) which can be printed by all techniques. Just pay attention to use big letters and to put them on some visible part of your promotional product - in the middle or at the top. Thus, they will have high-frequency visibility. In addition, you don't have to print any content on them. Just put the covers with a certain advertising content over your inflatables, and attach them in an appropriate manner. The third thing (trick) is illumination of promotional inflatables. Yes, it is very useful during the night and in foggy weather. Your advertising will stay visible in all weather conditions and at all times. What's more, this is also useful during the clear weather, because illuminated products are more visible both in outdoor and indoor space. When I talk about the illumination, I do not think about lighting from an external light or searchlight. I think about the internal illumination, with lights which are inserted inside the inflatable advertising items. Thus, these items become more attractive and ideal for various occasions, such as sports, parties, promotional events or concerts. Which type of promotional inflatables is the best for you? There is a wide range of advertising inflatables on the market, including inflatable tents (especially spider dome tents), inflatable dancers, balloons, arches for advertising as well as other custom made inflatables according to client needs. 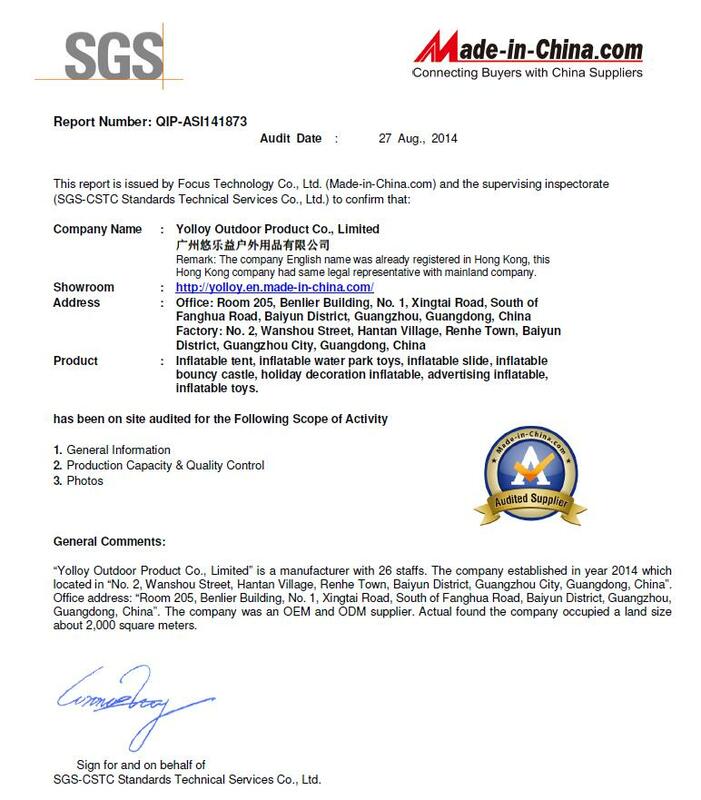 So, you will use those products, which are more suitable for your company or your business. We recommend that you to use several different inflatables, and you will see which one best works for you. The fifth trick is a funny expression of your advertising products. Yes, these products should look funny and to be cute. It is particularly important if you want to use your advertising at some amusement event or to promote products which are intended for little children. I will tell you one trick how you can do it. Print the eyes, nose and mouth on your items and make them alive. Also, you can add them hands and legs, and to dress them in a suit. Furthermore, you can use an inflatable costume and pay a promoter to dress a it and advertise your company. When you want to advertise something, it will be good to have an appropriate tent for promotion. This tent should be suitable for both outdoor and indoor advertising, and to be open from all sides. For this purpose, you need to use inflatable spider tents. These tents look like spider due to the several legs-poles, and they meet all the mentioned criteria. What's more, they are easy to use and you can move them easily from one place to another. So, when you plan to create promotions, use these spider tents rather than other tents. The seventh trick refers to the location of your promotion. Do I need to say that the best locations for advertising in the city is the high frequency areas and streets? Yes, you should place your advertisements in places where many people pass during the day such as city square, main streets and boulevards, promenades, and the like. Of course, these locations have the expensive leasehold, but it is a much cheaper way of advertising compared to billboards, marketing via media, etc. Also, it would be great if you use such advertising items that are moveable and easily portable. Inflatable items are very lightweight and hence suitable for relocation. Moreover, these products do not require a lot of space space and they may be used for several times in different places. Just find the best places in your city, and assemble advertising inflatables over there. If you have your own store,then you need to think how to lure the potential customers to enter your store and buy something. Yes, advertising inflatables can do this, too. Choose the model that shows the direction to your store and put it in front of your shop. It will be interesting for come-and-go people and many of them will be curious and go inside to see what it is about. Use the advertising inflatables which are made from strong and long lasting materials. These items should give the quality assurance to clients, and therefore they need to be made using the state of the art equipments and techniques. For example, the high quality fabrics are tarpaulin and PVC materials. They are environmentally friendly, fire resistant and waterproof. It is important due to the poor weather conditions as well as to be resistant to tearing and abrasion. In fact, this is more a suggestion rather than marketing trick. Finally, the last trick is to use so called “flying advertisements” for events and public meetings. One of the best flying advertisements is balloon. The balloons are usually very big and attractive, so people must notice them even from a far distance, whether they like it or not. Not only the balloons, you can also use other flying items, which are designed as the bottles, airship, or customized according to your own needs. All you need to do is to print your brand on them, inflate and let them fly. Of course, you will attach them to land with the appropriate ropes, so they will hover in the air at a certain height. This really looks amazing and catch the public eye.